Following a report of special counsel Robert Mueller’s investigation which showed no evidence of collusion between Russia and members of Trump’s team, the campaign is taking advantage of the news by introducing a massive fundraising effort. The campaign promises a ‘quadruple match’ of donations and suggests they’ll be using monies to investigate those who perpetrated the collusion hoax. A video ad seeks to have supporters register their cell phone numbers for future fundraising pushes. The video includes images of five prominent Democrats – Sen. Richard Blumenthal, House Intelligence Committee Chairman Adam Schiff, Rep. Eric Swalwell, Judiciary Committee Chairman Jerrold Nadler, and Democratic National Committee Chairman Tom Perez – all of whom get the word ‘WRONG’ stamped across their face after clips play with claims that there was evidence of collusion. A follow-up email to supporters insinuated that the Democrats colluded with the media to push the hoax on the American people in an attempt to derail – or at least handcuff – Trump’s presidency. “Democrats worked with the Fake News Media for 2 years orchestrating this Nasty Witch Hunt to use our government as a weapon to take away the votes of 63 MILLION Americans,” the email reads. Sure, the five Democrats listed above went on friendly media airspace and lied to the American people over and over again. That, sadly, is to be expected. There are so many other corrupt players that need to be investigated in this ordeal as well – those who illegally sought FISA warrants, rogue FBI agents who sought to implement insurance policies to stop Trump, and clearly partisan directors at agencies who orchestrated the entire affair. Investigate the investigators. Comey, McCabe, Clapper and Brennan and many more need to have 2500 subpoenas, 500 warrants and 500 witnesses called and 50 phone taps against them. 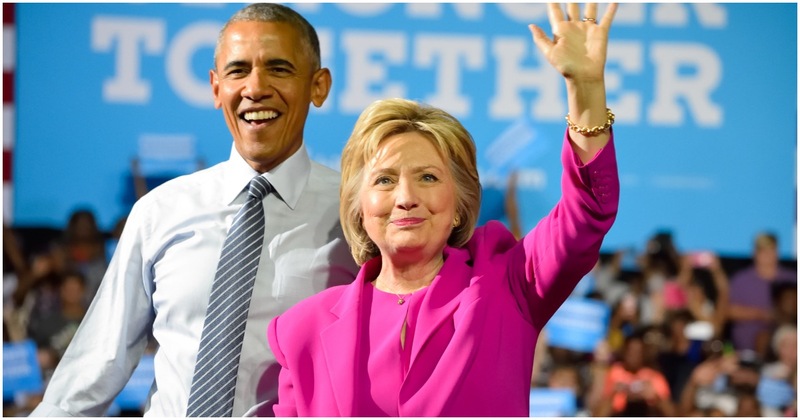 Columnist Michael Goodwin, writing in the New York Post, explains why Hillary Clinton and Barack Obama should be part of that investigation. “Was the initial decision to investigate Trump’s campaign an honest mistake by the Obama administration? Or was it an attempt to rig the election in favor of Clinton, and when that failed, overthrow a duly elected president?” Goodwin asks legitimately. It’s most definitely time to investigate them – the Obama administration for investigating the hoax through specious legal means, the Democrats for repeating the story, and the media for pushing the story at the command of their comrades on the left. Every one of these entities now has their reputations in tatters – rightly so – over this witch hunt. And they’ve only served to damage this nation because of it.